We’ve made it this far! A year ago, the Noon Project was just an idea, a hope, a piece of inspiration. When our Huffington Post article was published, others around the world validated our purpose, while turning on the news every day, our existence was validated. There is suffering and inequality in the world, and money and practical resources are needed to heal the body, but our relationships on an interpersonal, national, and international level are in great need for repair. What we stand for, that co-existence and empathy are necessary ingredients for a creative and peaceful society, could not be any more necessary than this very moment. In two weeks, we will have our musical debut. Our first introduction to our friends, family and fans. But how did we get here? How did we go from an interesting idea to the manifestation of this dream in the form of a concert in New York City! From our first artist gathering, to our declaration of our world view of a humanity, we have been working hard to build the foundation of a project we hope will impact the lives of many. We’ve been working slow and steady. We’ve been a small but consistent team of passionate and dedicated volunteers, dreamers who care about the world, and who care about art, and believe that the opposite of war isn’t just peace: it’s creation. We are here because we took small steps, and a year of small steps can take a group of people over a great distance. So here we are: one stage, and six artists who have given so much over this year, to be part of this movement, will share the stage to sing songs of peace, songs of love, songs of reality… and overall just have a good time. The concert is also our first fundraiser! 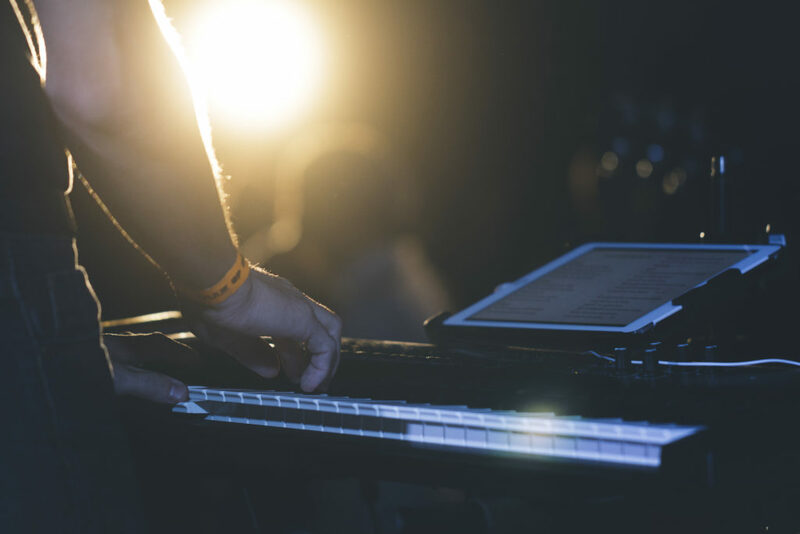 As you know our goal is to create an album whose proceeds will fund important humanitarian and peacemaking work, especially in the Middle-East, where a genocide is of life and culture is plaguing the region. However we don’t want to be a burden on the organization we are setting out to support. We are raising funds on our own to cover the costs related to produce this record, so we can give all the proceeds of the record sales towards humanitarian aid for those suffering. In the coming days we will proudly announce the artist line-up as well as our partner in humanitarian work. In the meantime, save the date! 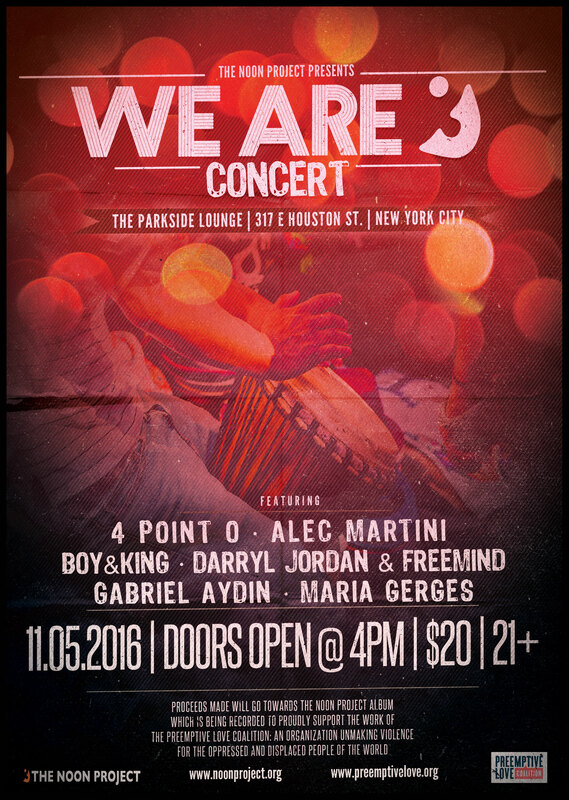 November 5th, 2016 @ 4pm at the Parkside Lounge in NYC. Hope to see you there.